Are your check engine light flashing on your cluster and you found the P0507 trouble code in your engine control unit memory? But what does it mean and how advanced is it to fix the problem? What part should I replace and in which order should I begin to look for the problem in? In this article, you will learn the symptoms, causes and solutions and how to get rid of this trouble code as fast as possible. What does the P0507 code mean? The P0507 trouble code is being triggered when the idle control system RPM is Higher than expected. All modern engines do have a desired idle rpm, usually between 600-1000 rpm. The control unit is using an active monitoring and adjusting the throttle body to achieve these RPMs. If the Idle RPM is getting over these values and the max adjustment values of the engine control unit, the control unit will trigger this as an error code. The P0507 code is a common code for vehicles equipped with an electronic throttle body. Newer vehicles do normally use an electronic throttle body. An electronic throttle body is just like it sounds, it’s electronic instead of the old throttle bodies with wires between the gas pedal and the throttle body. An electronic throttle body uses sensors on the gas pedal and an electric engine in the throttle body to give you the desired amount of acceleration. But it does not mean that this trouble code has to be a faulty throttle body, it can have a lot of other causes also. The most common symptom of this trouble code is that you will notice that your idle RPM is higher than usual. 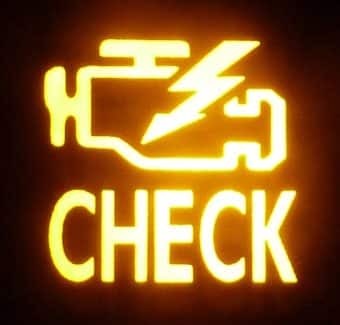 You will probably also experience a Check Engine Light. You can also have other symptoms like misfires and rough idle and acceleration if it is a lean/rich mixture that is triggering the P0507 code. This way to diagnose the code is used by the most professional mechanics, for these tasks you may need some required tools to do a fast and easy troubleshooting. Always connect a car charger before you are connecting your OBD2 scanner and other diagnostic tools. Low voltage may damage your control units and give errors. 2. Check the Live data of the Idle Control Valve/Throttle body to see if these are correct. Check the position sensor of the accelerator pedal to make sure it is correct. 3. If there are not any other trouble codes stored, check and listen for any vacuum leaks around the intake system. If no vacuum leaks can be seen or heard, you can use a starter spray gas or any other flammable spray and spray it carefully around the intake when the car is at idle. If the engine RPMs rises when spraying, you have a leak somewhere in that area. Remember to do this with care and always have a fire extinguisher close to you. Professional mechanics use smoke machine leak testers to find this kind of faults very fast and easy without any risk of fire. 5. 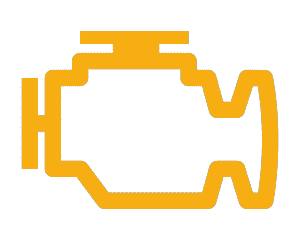 After the throttle body is cleaned, you do normally have to do a basic setting and adaption reset of the throttle body to learn the new values of the clean throttle body. You can do this with an OBD2 Code scanner. The most cheaper OBD2 scanners cannot do this and you may require a good obd2 scanner, depending on the car model. Always make sure that the OBD2 scanner is compatible with your vehicle before you are making any purchase. 6. Erase the P0507 code and go for a test drive to verify that the P0507 code is gone. 7. If the P0507 code is still coming back, the diagnose of EVAP, IAC, EGR, PCV valves etc have to continue. These procedures are more advanced and contact us if you have any questions. If you have any other questions about the P0507 code, comment down below and I will answer you as fast as possible. If you have any other car questions you are welcome to ask us at our homepage.